The sample is a .5 oz. container but plenty big enough for me to use a few times. It also came with a comparison chart to BodyGlide which I thought was very useful. I was sold on the price value alone when compared to BodyGlide. I didn't really have any major problems that I thought would need RunGuard on other than the fact the bottoms of my feet were on fire. Backstory...It was 87 degrees and extremely humid in Birmingham yesterday and I wore open toed high heels all day to work at an outside event. I did not realize that my feet were just rubbing the wrong way against my shoes. It wasn't anything that would have made me run out to the store to get something for relief (I have a very high tolerance for pain) but since I had my sample, I decided to rub some on the bottom of my feet. I could not believe the difference after I got done running last night. WOW. The fire was gone! I did not realize how much my feet were in need of something soothing until then. I do tend to chafe more in the cold winter months than the hot summer months. The worst is getting in the shower in the winter and realizing that the damage has already been done! I'm going to be a new user of this product and try to wear it for preventative measures instead of waiting until the problem arises! Overall, I give RunGuard a big "Runner's High Five" and will definitely be ordering more! 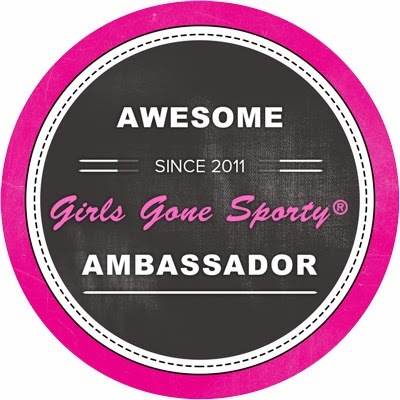 Big Thanks to #RunChat for hosting the Twitter Party and to RunGuard for giving away your awesome samples! 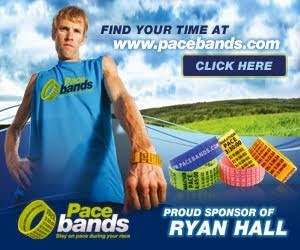 **Don't forget to follow both RunGuard and #RunChat on Twitter! Running in the City of Gardendale, Al. A couple of weeks ago, I had the unexpected pleasure of running a 5k in Gardendale, Al. A little backstory.... 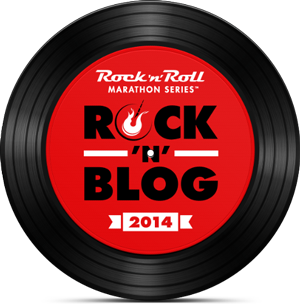 I was originally supposed to run the Country Music Marathon in Nashville that Weekend but it didn't work out with my schedule so I was looking for a local race when a good friend of mine told me that he (Scott Wood) and another friend of ours, (Ronnie Blakney) were on the planning committee for an inaugural 5k in Gardendale, Al. 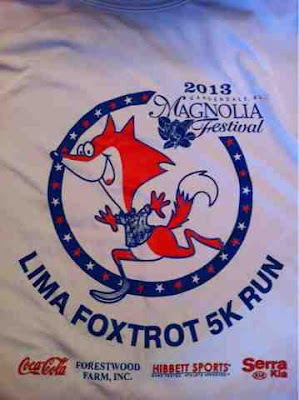 The Lima FoxTrot 5K. 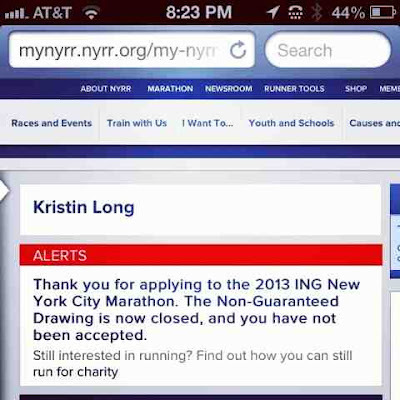 It didn't sound like there were a ton of people registered for the race and I really didn't have the highest expectations but I didn't have anything else going on so I thought I would give it a go. WOW was I ever surprised!! This 5k was packed full of things that I expect from 5k races that have been in existence for years. The race had lots of sponsors and all proceeds were to benefit The Lakeshore Foundation. 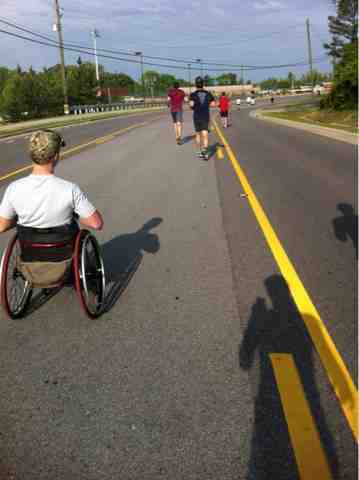 I have never ran a race before right next to someone in a wheel chair, until today. Talk about inspiring. There were several paralympic athletes actually racing the same race that I was. Big Congrats to those guys...they smoked me!! "Lakeshore is home to one of the nation’s leading centers for the advancement of athletics for people with physical disabilities- one of the only centers of its kind. Our reputation extends beyond the United States, making it a popular training site for international athletes with disabilities. Lakeshore’s coaches, many of whom have stellar athletic careers of their own, have come to Birmingham from around the country. They are drawn here by the Foundation’s barrier-free athletic complex, experienced staff, and by our long-standing commitment to expand opportunities for those who have experienced a physical disability. Competitive athletics available at Lakeshore can fulfill a personal need for strenuous activity, provide an outlet for competitive drive, enhance independence, and contribute to the athlete’s overall health and well being. The program offers a myriad of opportunities to build strength, confidence and physical skills valuable in everyday life. With all of these benefits come lifelong friendships, shared victories and exciting opportunities for national and international competition. Competitive athletics opportunities for youth and adults with physical disabilities are available in the sports of wheelchair rugby, wheelchair basketball, goalball, track and field, swimming, power soccer, wheelchair tennis and marksmanship." Because this was an impromptu 5k for me, I had to arrive a few minutes early to get registered and pick up my 5k packet. Plenty of race shirts left and pins! (Running out of shirts I can handle but running out of safety pins is a major pet peeve of mine!). And tech shirts at that!! That's huge in the race world to receive a tech shirt and not just a cotton tee shirt. The tech shirt is worth the registration fee alone! The line moved quickly and I ran my packet out to my car, attached my bib and I was back to the Start line area. There were a few gals there pumping up the crowd with some warm up exercises, the Coca Cola truck playing some awesome "get up and move music" and we were ready to get lined up. As we moved over to the Start Line, we were given directions concerning the course, said a quick prayer and off we went! 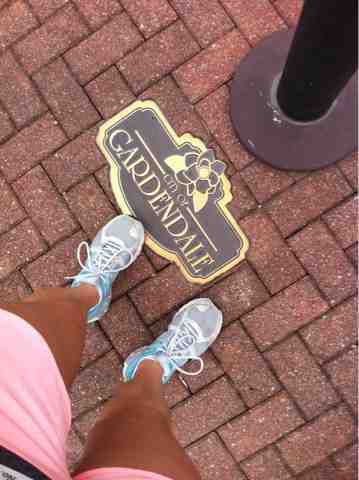 The course wound 3.1 miles through the Gardendale city streets, some neighborhoods and then we finished back at the Gardendale Civic (the same place where we started). I thought the course was perfect! Not too hilly but just enough to give me a great workout! Mother Nature even cooperated! The race this year took place on April 27th. It was warm enough for shorts and a tank but after I ran, I did throw my long sleeves back on. I got really cool after I cooled down. Perfect 5k Weather! This Princess always ready to run! With 175 Runners, I could look around and tell that there was a wide variety of runners. 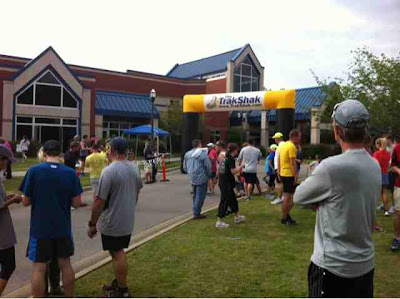 Some of these runners were really experienced and some looked like they were running their very first 5k. I love these types of races where the atmosphere doesn't feel too "intense" and we are just doing what we love and raising money for a good cause along the way! What a cute tech shirt! 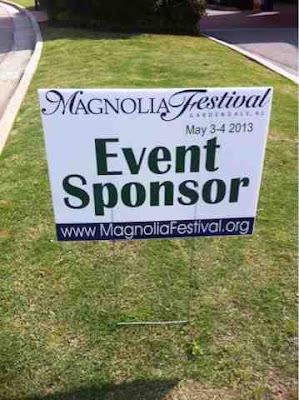 **There is a rumor that the race may be pushed forward a weekend in 2014 to tie in with The Magnolia Festival in Gardendale. Make sure to stay tuned to the website for official details on that! 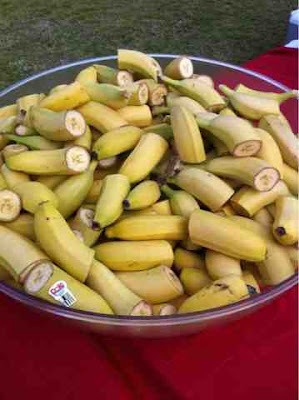 Lots of Post Race Bananas! 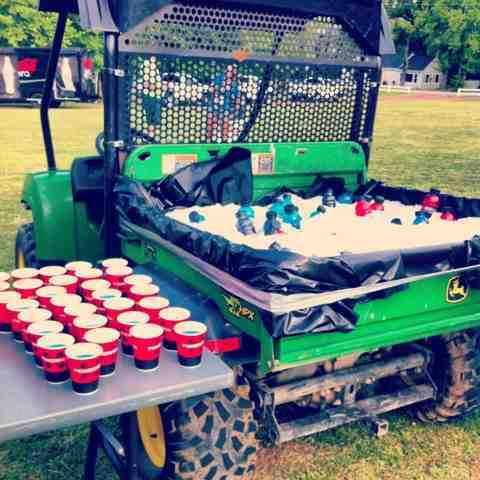 Love this Gator filled with ICE COLD POWERADE!! 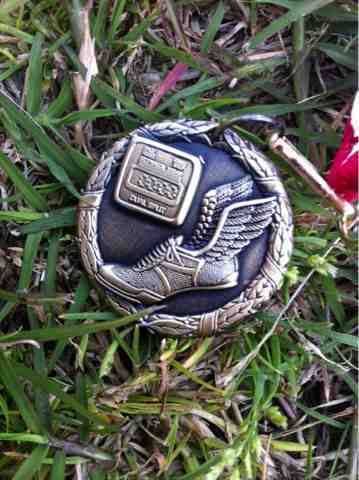 My awesome first place age division medal! 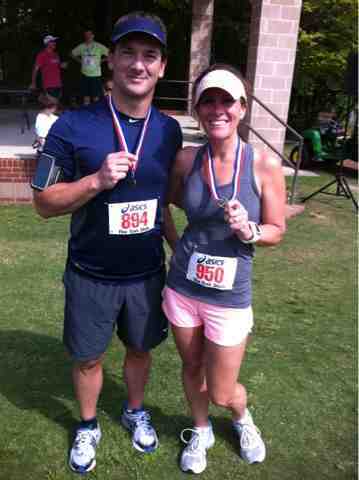 My friend Scott also won his age group! 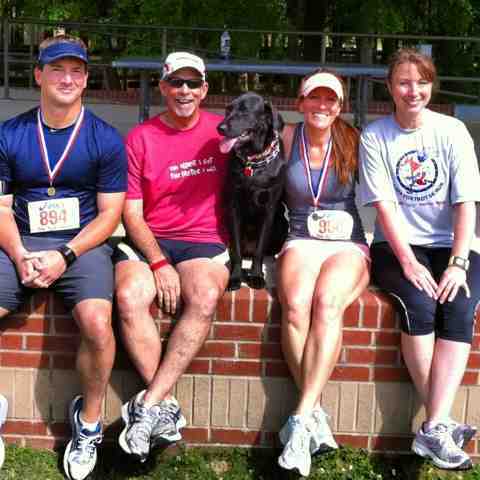 I absolutely love running with these guys...even Walker The WonderDog Blakney! 2. Tech Shirts...Can't go wrong! Will DEFINITELY add this race to my calendar again for 2014 and will hopefully get to hang around for the Magnolia Festival as well! **What does Lima FoxTrot mean?? "LIMA FOXTROT" describes what has become one of this country's premier, comprehensive, year round, sport, fitness, and recreation programs for severely injured military personnel. Initiated in 2006 in response to the significant numbers of injuries from conflicts in Iraq and Afghanistan, LIMA FOXTROT has served more than 1,000 injured servicemen and women and their families, from 35 states and territories. Through LIMA FOXTROT these young men and women use lessons from sport and recreation to learn how to pursue life after injury. **Visit the Lakeshore Foundation website for more information about Operation Lima Foxtrot and other Lakeshore Foundation Programs. 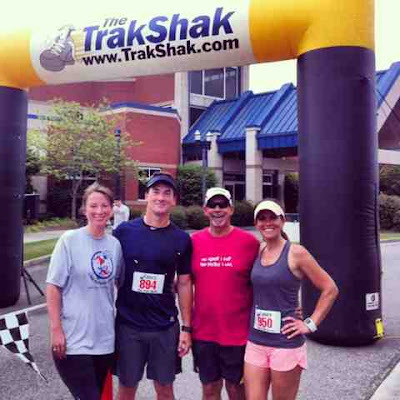 Visit the Magnolia Festival Website to see race results and more photos from the race. Wordless Wednesday. 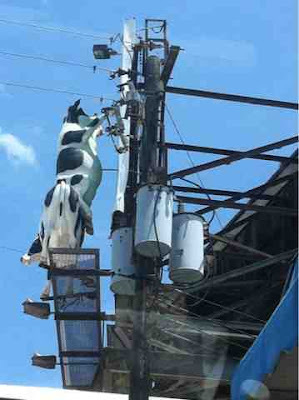 Under the Cows.. Oh my. New Bling! New Races! Double the Fun!!! Seriously. NOTHING better than the feeling after finishing a Disney Half Marathon!!! OH YES WE DID!!!!!!! Me and my sis totally jumped in the pool at the Disneyland Hotel in our race clothes (bibs and all) after the we finished the 2009 Disneyland Half. Yep. It was THAT much fun!! RunDisney released their new 2013 Dumbo Double Dare Challenge Medals on their blog yesterday which REALLY got me wanting to run this race again!! 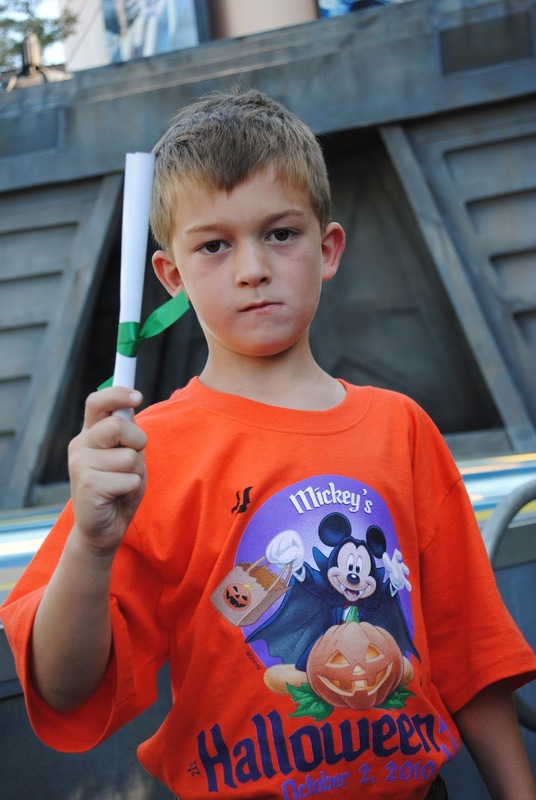 I thought the course was excellent, taking you through Disneyland, onto the streets of Anaheim, through Anaheim Angels Stadium and then back through Disney's California Adventure with the Finish Line just outside of the Disneyland Hotel and Downtown Disney!! The medals are BEAUTIFUL and include the Inaugural Double Dare (Completing the 10k and the Half Marathon), the Disneyland Half Marathon, Inaugural Disneyland 10k, and the Disneyland Family Fun Run 5k. I'm really really reeeeealllllly hoping to add this Dumbo Challenge weekend to race schedule soon and be able to earn a few of these new medals!! Of course if you run a Half Marathon or Full Marathon on the East Coast at Walt Disney World prior to the Disneyland Half Marathon, you will earn the Coast to Coast medal as well!! So on this particular weekend, you have the potential to earn FIVE RunDisney medals....aaaaaaaahhhhh!!! I love it!! Here are just a few more pics from the hundreds that I took during the race with my sis as we ran the Disneyland Half and earned our very first Coast to Coast Medals!! 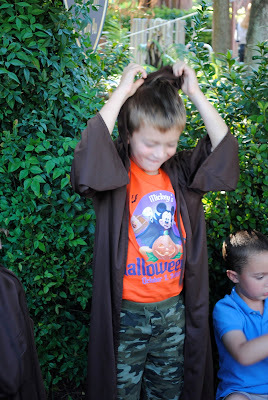 Check out my sister's blogpost with a few of her pics too! We've waited all of our life to make it to Disneyland and we get to run through it....THE BEST!!! In front of Sleeping Beauty's Castle! Disney's California Adventure...."Welcome to Mickey's Fun Wheel"! 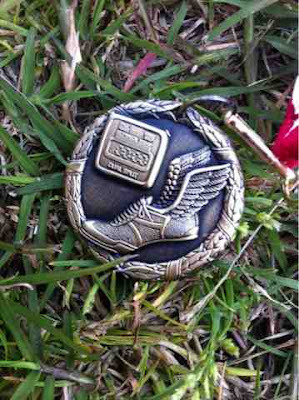 We have earned our very first Coast to Coast Medals....Yay!!! In the Hot tub with our race clothes still on...LOL. **Make sure to check out runDisney.com to get all of the information on how to register for these fun events. The 2013 Disneyland Half Marathon weekend races sold out in less than an hour so make sure to register as soon as they go on sale!!! Happy running and hope to see YOU at one of the Castles!! 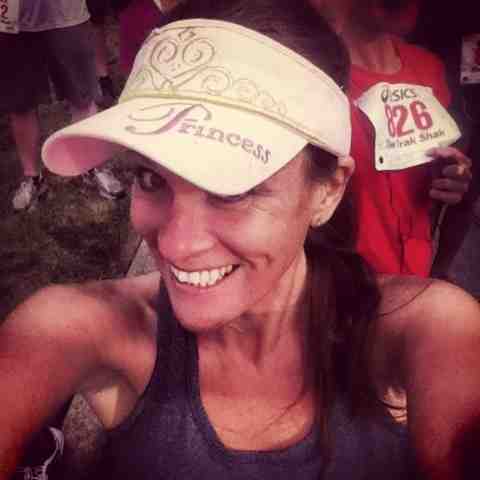 2014 Princess Half Marathon Weekend including the new Glass Slipper Challenge Registration opens on June 11th!! 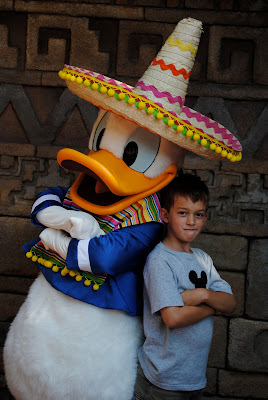 Happy Cinco De Mayo, Disney Amigos! One of the most exciting things that my Justin has EVER done was attend the "Jedi Training Academy"at Disney's Hollywood Studios!! He's a huge Star Wars nut and this was one of the "Must-do" things that we knew we had to do on our vacation. 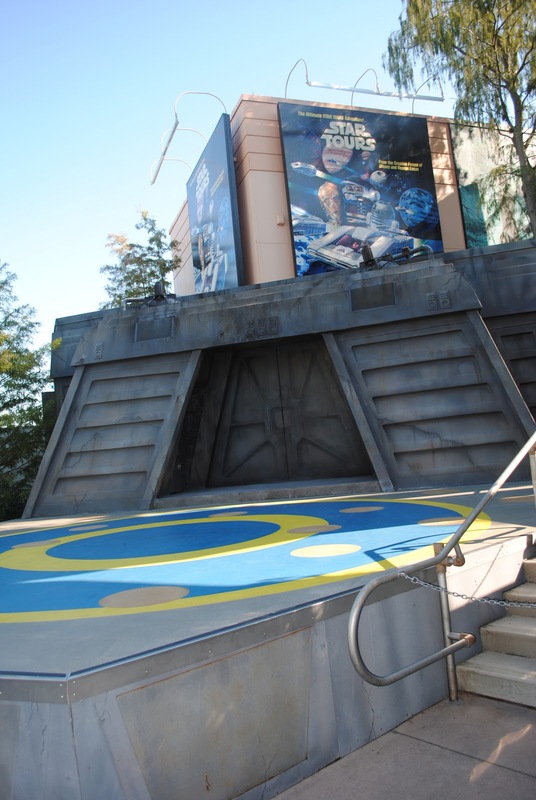 The first day we went to Hollywood Studios, we missed out on the sign-ups because we went straight to Toy Story Mania and all of the time slots were filled by the time we walked over to Star Tours. My little man was devastated!! Bad Mom. 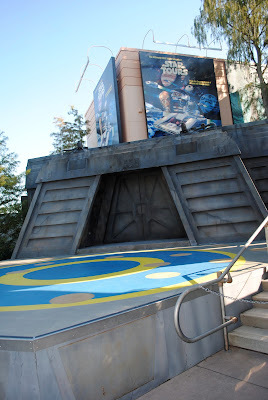 :( So the next morning, I headed right back over to Hollywood Studios and made a mad-dash to Star Tours to get him registered...registration is first come, first serve and the slots fill up FAST!!! Whew! He was in. I had redeemed my "Mom Coolness". We had to come back at 4:45pm. 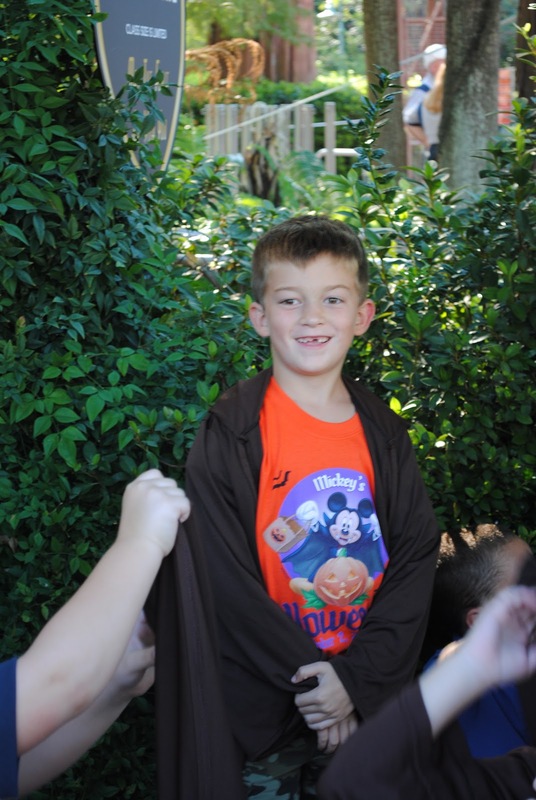 to watch this little Jedi in action! Waiting to get "robed" up! The stage is set and ready for the little Jedis. He was SO excited about the hood! All robed up and ready to train! The Jedis in their spots receiving instructions from the Jedi Master. He's got his light saber and is ready to use it! Uh oh. 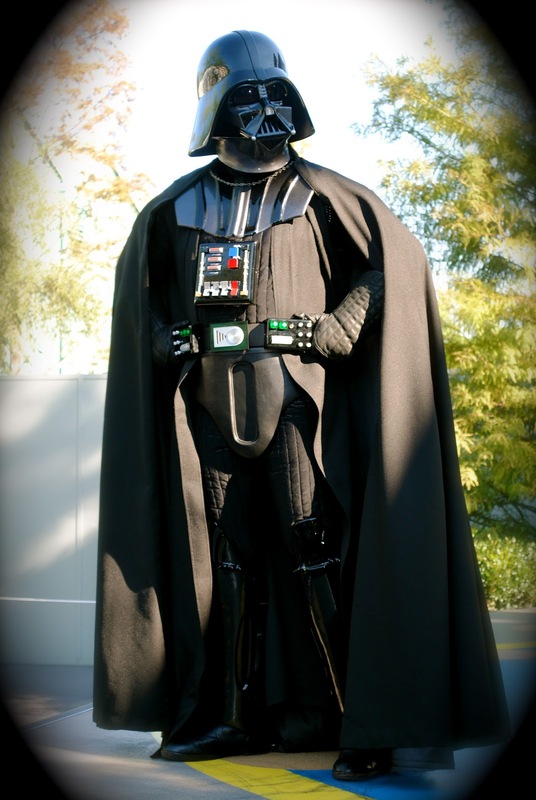 Here comes Darth Vader! My boy is up to battle! Justin vs. Darth.....Probably one of greatest moments of Justin's life happening right now! May the Force Be With You, Justin...Now GO! All of the little Jedis were getting their congratulations that their Jedi training was complete! A wave to the crowd from the new Jedis! Serious business about his certificate. Yep. 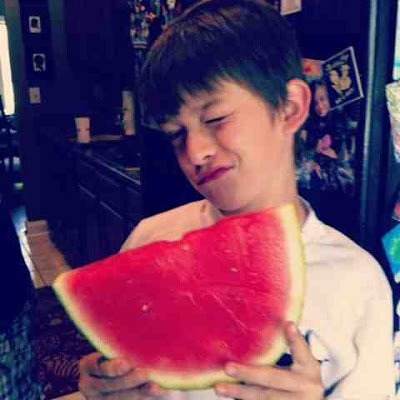 This will be framed in his room. 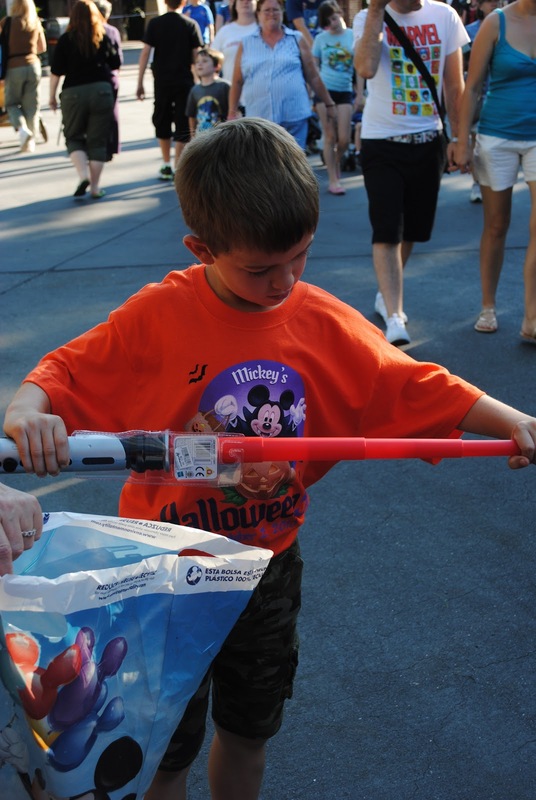 His Paw Paw went straight to the gift shop and bought him a new light saber. They wouldn't let him keep the one that he battled Darth Vader with, but we thought that he totally earned one! Lucky Us! We're on an Empty Disney Bus!